30 minute flight simulation experience in the F/A-18 Hornet simulator. 10 minute briefing conducted before flight experience. Weekday only price. A full 60 minutes in the F/A-18 Hornet. A detailed 10 minute briefing is provided before the flight experience. Weekday only price. 30 minute flight simulation experience in the F/A-18 Hornet simulator for 2 people! 10 minute briefing conducted before flight experience. Weekday only price. A full 60 minutes in the F/A-18 Hornet. A detailed 10 minute briefing is provided before the flight experience. 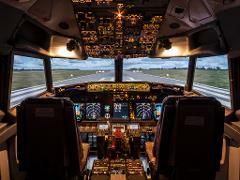 60 Minute Boeing 737 Jet Airliner Experience. 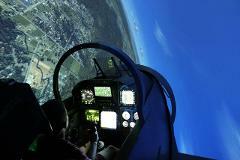 The ultimate Top Gun fighter pilot experience is now available here in Brisbane. Take to the skies in our F/A-18F Super Hornet Simulator for 60 minutes, before really taking to the skies in our Fast Jet out of Archerfield for 20 minutes!